﻿The Journal of the Economics Society is a venture dedicated to encouraging students towards research and writing by providing them with a platform to do so. 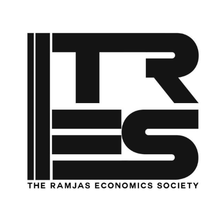 The Ramjas Economics Society is moulded in the finest traditions of this college, and is widely recognised as a fertile ground for academic as well as co-curricular growth of its student body. Apart from organising various seminars, workshops and lectures for students on issues related to Economics, the society plays host to a large number of participants from various colleges at its Annual Winter Conference.